A vibrant senior living community, Newbridge on the Charles opened in 2009 on 162 Wooded Acres in Dedham. 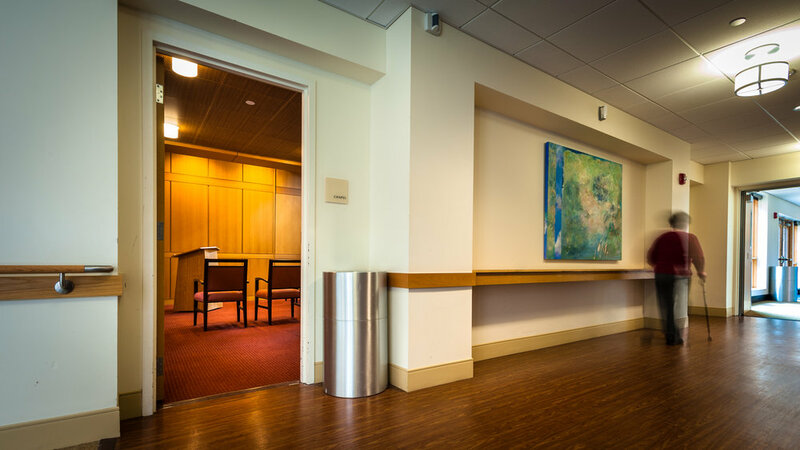 The Dedham campus of Hebrew Senior Life offers its residents a variety of living options, rich cultural events, multiple healthcare facilities, an interfaith chapel and a synagogue. The interfaith chapel is located on the bridge between the long-term care and independent living communities. Designed by artist Beverly Sky in collaboration with the architectural firm of Perkins Eastman, crystals hang from the ceiling to create the appearance of a reflection pool. The crystals invoke images of water as a blessing and of God’s nurturing of the earth, as if they are a mirror in the sky. The chapel is available for residents and staff of all backgrounds and traditions for private reflection. It is also used for a weekly Talmud study class, small memorials and shivas, a weekly prayer service, and other gatherings. A synagogue was also designed with a partition wall linking it to the larger Great Meadow Hall. Artist and sculptor Mario Kon designed and built the Ark and reading table together with Beverly Sky who also created with Perkins Eastman the lighting and room design. 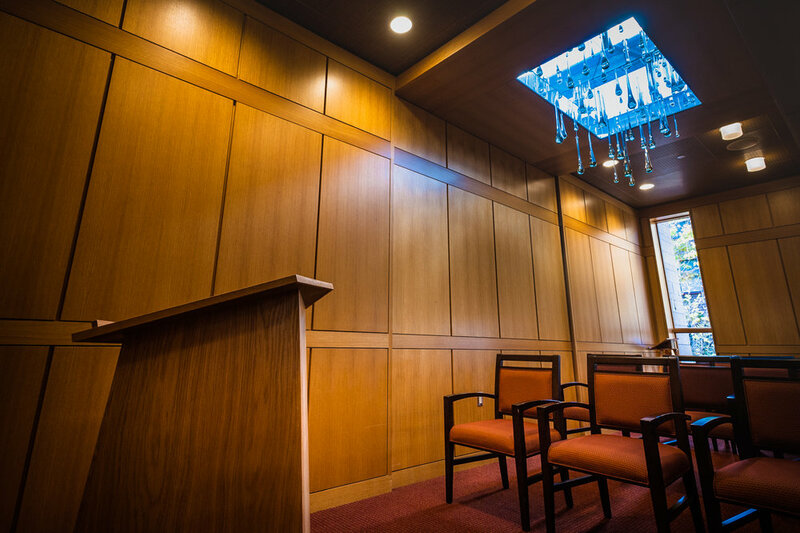 When being used as a synagogue, the Ark is opened and Friday evening services, holiday services and other gatherings happen in the space, sometimes extending into the full hall, depending on the size. At other times the Ark is closed and, the space is used for other functions.